A fruity filling and a gluten-free pastry base for fruit mince pies. A little crumbly, but well worth the effort, especially at Christmas-time! 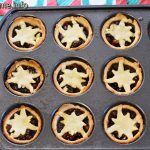 I love fruit mince pies – we used to get them all the time in Australia. But when we moved to Chile, I found out that they just didn’t have them as a tradition. The first year we were there, we made some concoction of dried fruit and sugar, and wrapped them in a pastry sheet to make ‘pin-wheel’ type things. But one year I wanted to make gluten-free fruit mince pies. I found a recipe and started to make them when we visited my parents for Christmas, but I couldn’t find the right cornmeal – I bought some polenta and used that, only to realise when I read the back of the packet that it was manufactured on equipment that also processes gluten. Sure enough, within about 10 minutes, I started to feel sick, so we threw that dough away. Also, most of the fruit mince I could find in Australia also had that warning. But in the US, I don’t seem to have that problem with the fruit mince. And if you want to avoid any potential gluten issues with polenta or cornmeal, feel free to substitute the crust recipe with a Paleo one, like here! Either way, it’s an awesome flavor combination and you should try it! Sieve the flour and cornmeal into a large mixing bowl. Add the butter and caster sugar and rub into the flour with your fingertips until the mixture resembles fine breadcrumbs. Using a table knife, stir in the egg and water mixture until the dough clumps together. Add another tablespoon of water if the mixture is still too dry and crumbly. Bring the dough together into a ball. Knead lightly, on a work surface dusted with rice flour, until smooth. Wrap in cling-wrap and chill in the fridge for 30 mins. Roll out the pastry and cut out circles large enough to fill the base of the prepared tin (I used a muffin tin). Press gently into each hole, then fill with the mincemeat. 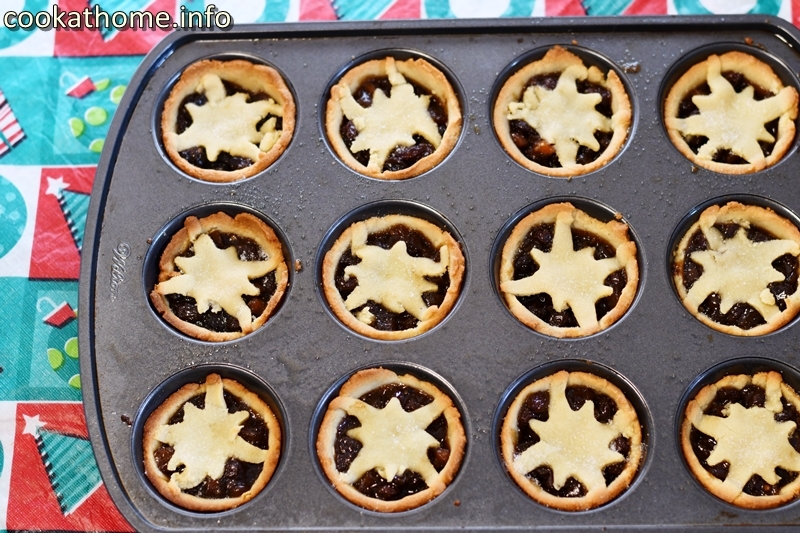 Cut out another set of circles, or other shapes, slightly smaller and use to cover the mincemeat. Press the edges together to seal. Make a small slit in the top of each to prevent them from bursting, then brush lightly with milk and sprinkle some sugar on top. Chill for about 30 mins. Preheat the oven to 200C. Bake for approximately 20 mins until golden brown. Remove to a wire rack and serve either warm or cold.